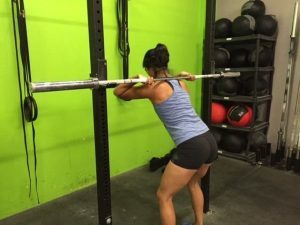 Front rack position mobility is critical for movements including front squats, thrusters, overhead pressing, and jerks. I’ll take you through our six favourite front rack mobility drills. 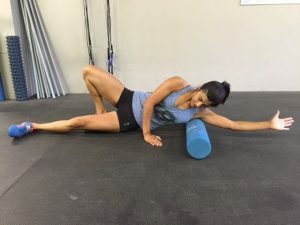 These drills are primarily to improve thoracic spine extension and to improve flexibility in the lats. 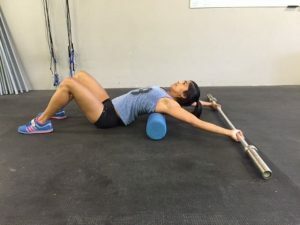 You’ll need a large foam roller and a small, lightweight barbell. Place the roller under the thoracic spine- that is, mid and upper back, to increase the extension in the spine at these points. Hold the barbell with a comfortably wide grip. Your most comfortable grip will also depend on your shoulder mobility, as they might be restricted by the pecs. 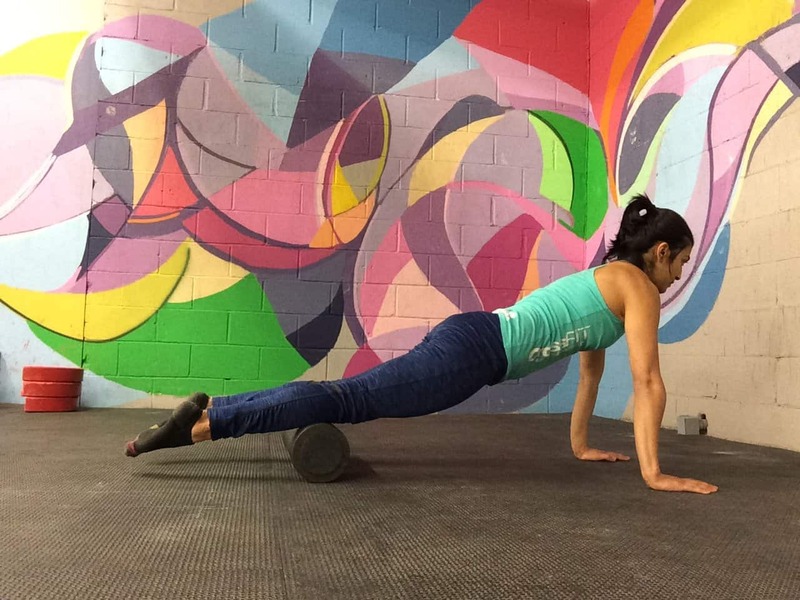 Take 60 seconds to roll 1 inch at a time, pausing as needed from mid back to mid shoulder-blade. This stretch mimics the front rack position. Set up a full-size bar, place the hands in the correct front rack position, but put the bar on your back. Keep hips and shoulders square as you push the elbows as far forward and up as possible. Push for 2 seconds, then drop the elbows. Repeat 8 to 10 times. 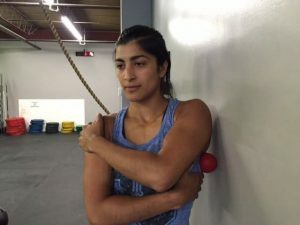 This drill for front rack position mobility is straight from yoga. 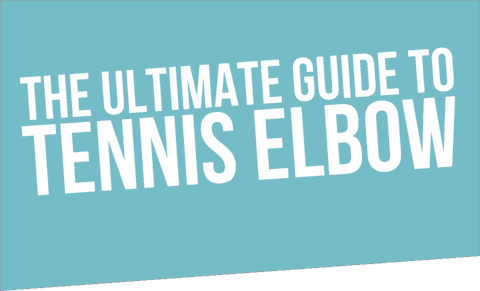 Keep the elbows tucked in tight, and press through your forearm and palms against the floor. The idea is to extend from the mid/upper back, not the lumbar (lower back!). Push out and hold 15 seconds, 3 to 5 times. In this stretch, keep the hips and shoulders as square to the wall as possible. 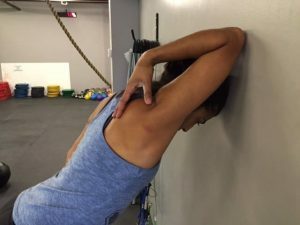 Reaching back with the palm down will also target the triceps, which is sometimes an issue for front rack position mobility. To activate the stretch, gently press the chest downward. Push and hold 15 seconds, relax and repeat 3 -4 times. This simple rollout works out all the tight knotting that can occur with a program full of pull-ups. The smaller the ball, the deeper and more painful the rolling will be. Start with a softball if the lacrosse ball is too much! Place the ball just below the armpit and roll side to side for 45 seconds with the affected side arm crossed across your chest. This classic movement rolls the entire length of the lat muscle out. 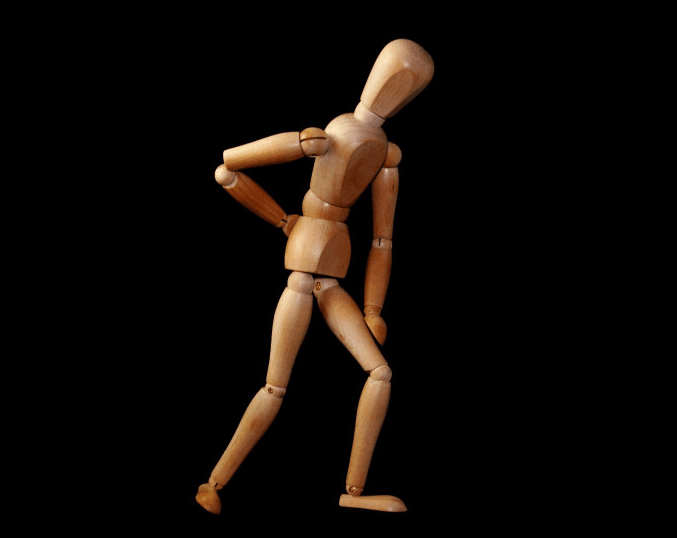 Think of it as a massage which works “with the grain” of the muscle. Roll from the base of the arm as low as you possibly can! Rotating your torso into a more supine position will help target the mid and lower lats as well. Roll each side for 45-60 seconds.